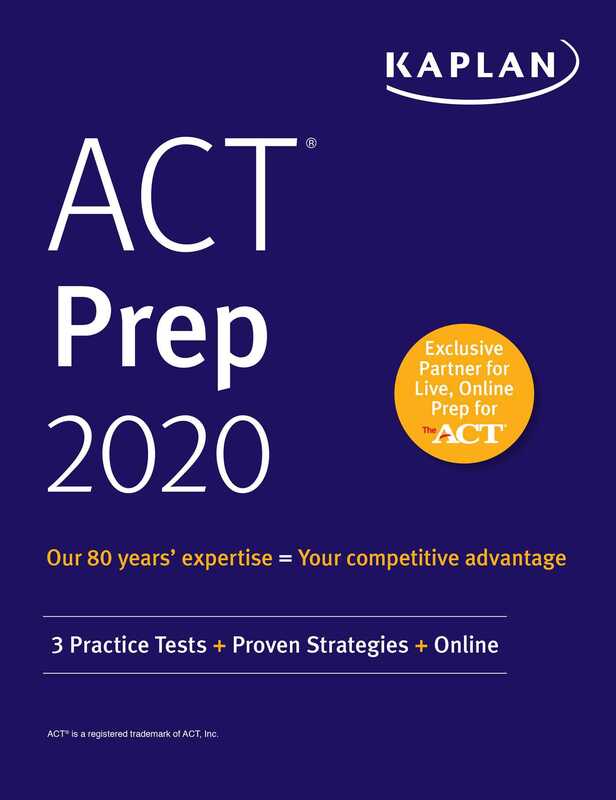 Kaplan's ACT Prep 2020 provides expert strategies, online practice, and video tutorials to help you ace the test and give your college applications a boost. Kaplan is the Official Partner for Live Online Prep for the ACT. For more information visit kaptest.com/onlinepreplive.